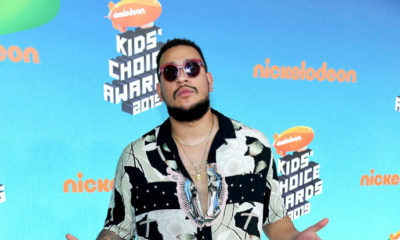 Paris Fashion Week is still in full swing, and it has proven to be the place for celebs, international fashion lovers and designers to show the world their signature style. 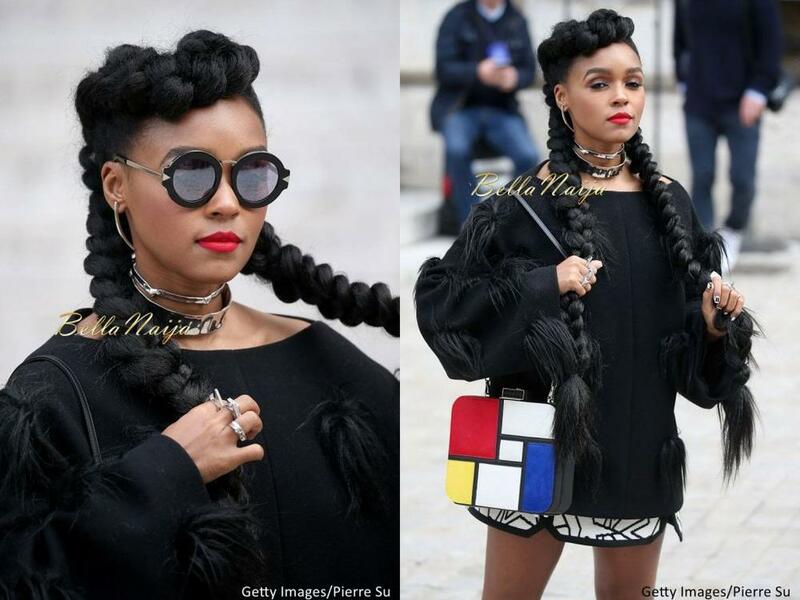 One celeb in particular that caught our attention is the monochrome-loving alternative R&B singer, Janelle Monae. 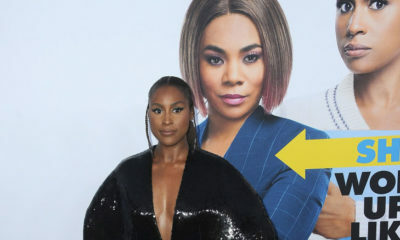 The “Yoga” singer has been attending fashion shows, most recently the Chanel showcase, and has been debuting her eclectic fashion sense and funky natural hairstyles. 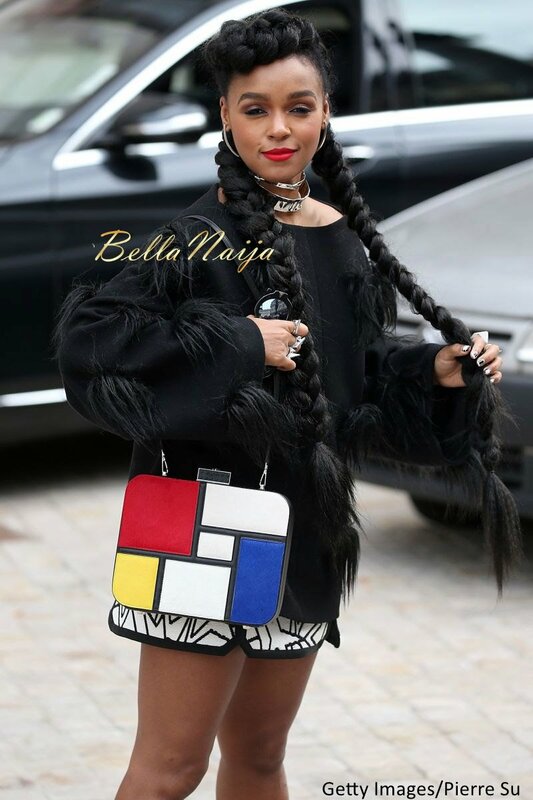 On Monday 5th October, she attended the Stella McCartney showcase for Spring/Summer 2016 in an oversize sweater with fur detailing and a monochrome skirt, a colour blocked tote and platform shoes. We loved her outfit, but couldn’t get over her hair. She converted her natural mane into 2 jumbo pig tails that also formed a crown on her head. We love how the pig tails almost blend in with her sweater, and it definitely gave her something to play with. 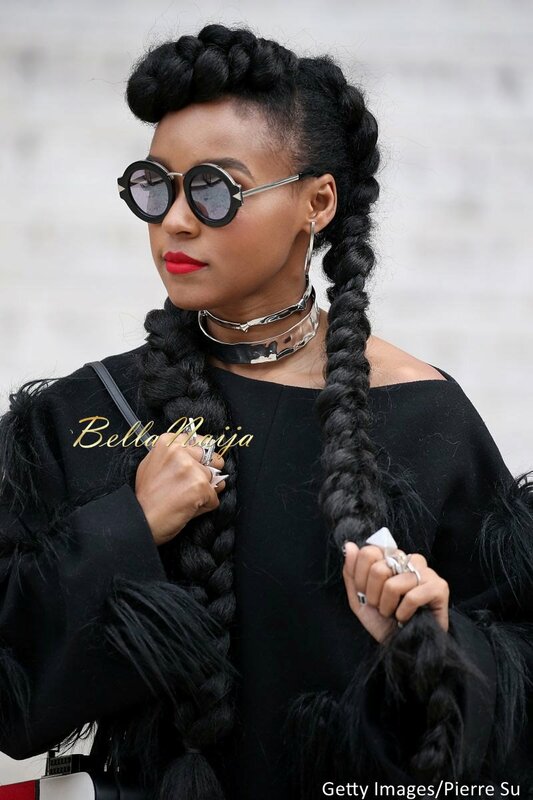 A lot of people like pig tails because of it’s ease and minimal maintenance requirements, but there are those who think the look is too childish to be pulled off by an adult. 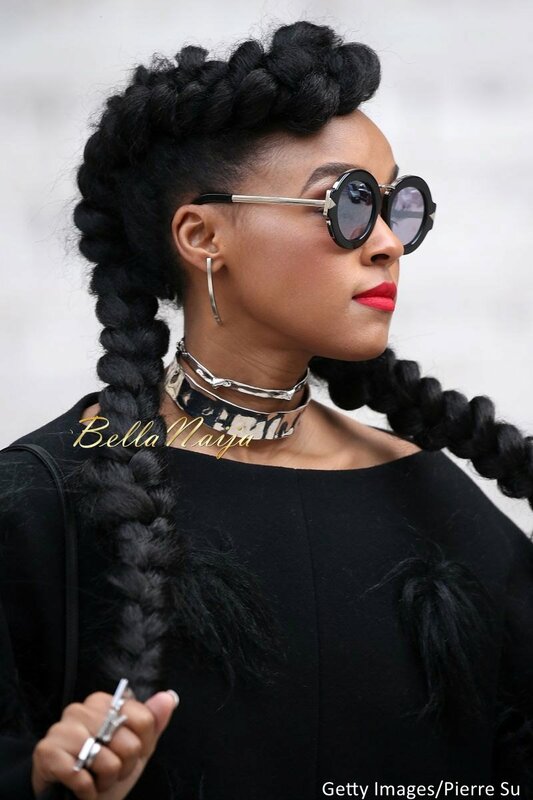 So we have to ask – would you give this look a yay or nay? Short & Fab! Fashion Protégé’s Belois Couture Unveils 5-Piece Resort 2015 Collection! The babe just waste attachment wey I for use. LOVE! This is such a look, and she looks comfortable too. 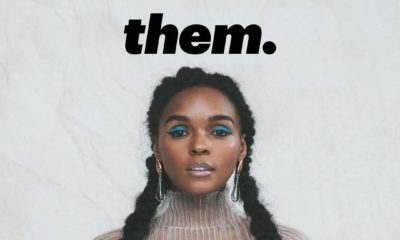 Janelle Monae is a pretty girl with great bone structure so she can pull off almost any hairstyle. The skirt and tote are so cute. I have to have those shoes!! I’m just fixated on that hideous outfit *all in the name of being fashion forward*……… pretty girl but that top is furgly. Yay!!!!!! She can’t do no wrong in my eyes… That’s one risk taker when it comes to fashion & she pulls it off greatly. Love it! Love the lipstick , not sure about the shoes. Yaay! She definitely nailed it. I think she looks absolutely fabulous in all of them.